After spending the entirety of his career in Spain, Eloi Amagat now joins NYCFC in MLS. On Wednesday, New York City FC officially announced the signing of Eloi Amagat, who will join the club subject to receipt of his P1 Visa and ITC. The 33-year-old is a versatile midfielder who has spent his entire professional career in Spain before Wednesday's move. Amagat will be familiar with his boss, Domè Torrent, due to a path that crossed in 2005-2006. Just over a decade ago, Torrent was managing Girona, a club that Amagat would go on to make 180 appearances for. As mentioned, Amagat spent a long time at Girona, which involved two stints, the first of which was the start of his professional career. During that stint, Amagat would make 47 appearances, helping his club gain promotion to the Segunda Division for the first time in 49 years. However, during his first spell at Girona, Amagat would go out on loan twice. The first loan was to FC Palafrugell, a club where he made just 8 appearances in his lone season at the club. The following year, he spent the 2006-2007 season at CF Gavà, where he'd go on to bag 3 goals in 37 appearances. 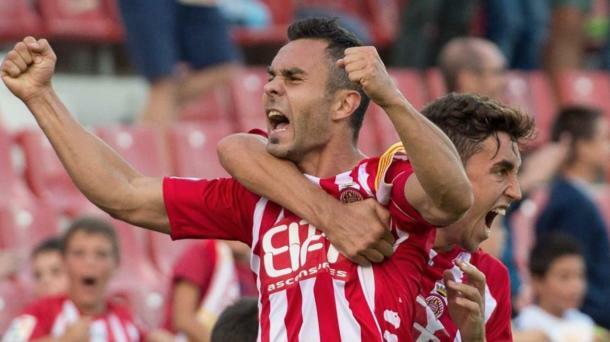 Finally, in 2012, he returned to Girona, where he'd make another 133 appearances and wear the armband. He helped the club secure promotion to La Liga for the first time ever after a strong 2016-2017 campaign. Now, NYCFC is hoping Amagat can be a part of their history, as he was Girona's. Amagat opened his quotes with “I am very excited. I have spoken with Dome several times and he has spoken wonders of the Club and also of the city. It’s an important challenge for me and I have a lot of desire to join this club."